Unfortunately there are many conflicting and confusing definitions that have evolved over the centuries for dyslexia. There are myriads of labels affixed to learning disabilities, which if properly understood, really fall under the umbrella of dyslexia—dyscalcula, dysorthographia, dysphonics, dysgraphia, auditory processing, verbal processing, vision processing, ADD, ADHD, and more. Among parents the labels are less complex but none the less often in error—lazy, stubborn, stupid, disobedient, and clumsy. Teachers tell parents their student won’t ever be able to read or do math but then pass the student to the next grade. One teacher of 4 dyslexic siblings said, “I thought those kids were the stupidest kids I’d ever taught!” Other teachers discourage parents from seeking help for their student’s struggle to avoid labeling the child. Politics and legislation often enter the public classroom with dangling carrots for quotas in IEP or LD classes and warnings of litigation if dyslexia is identified. Denial in a culture or a parent can also be an insurmountable brick wall that traps the dyslexic for a life time. In some cultures it would be unthinkable for a parent to admit their student has a need or issue, for that would mean the parent was doing something wrong or not fulfilling their parental duties. In other cultures, such as America, it is easier for the parent to say it’s the student’s fault they can’t read, write, spell, do math, or carry out instructions than to actually take the step to find out why their student struggles so much. Dyslexia IS hereditary, and if a student is blamed for why they’re not performing, they are twice the victim. 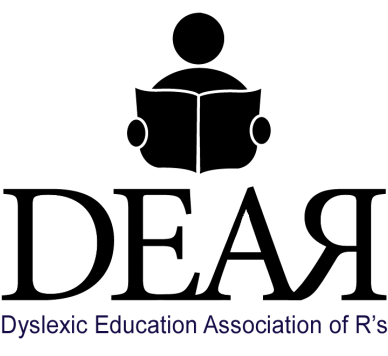 Pride in one’s accomplishments or socio-economic status can be a stumbling block to seeking help for dyslexia. America’s self-made image can become very powerful. Parents who find their own identity through their children’s accomplishments let pride keep them from admitting something might be wrong and that their child needs help. Fear can be an overwhelming factor for post high school dyslexic adults. Navigating high school requires quite a toolbox of survival tools and compensation skills which most have honed to perfection. Dyslexic adults can feel safe trapped in survival mode and clinging to things which have gotten them through. Stepping around the toolbox to try something that could actually free them from the load takes a lot of courage. The giant fear of failure once again stares them down just as it did in their earlier years. Many extremely intelligent adults forego college, settle for a mediocre job, and just get through life. Finances are seldom the honest reason for a student not getting help for dyslexia through DEAR. It is amazing how much parents spend on one child over the course of one year for birthday, Christmas, Valentines Day, Easter, July 4th, entertainment, sports, and good behavior. Few children will be handed the deed to a new house, or the keys to a new car, or a plane ticket for a world trip at graduation. However, parents who enroll their child in DEAR will hand them one of the most valuable gifts of their lifetime. DEAR is affordable because parents are allowed to pay the $1,200 tuition as they are able to fit it into their family budget over the time period it takes their student to progress through DEAR’s program. DEAR purposefully is not money driven and chooses to be nonprofit. Discouragement can do many negative things to an individual. It takes away hope and stifles the desire to seek help. This can happen to parents as well as students. Extreme discouragement produces a total shut down in people. Their ball has stopped rolling. Many dyslexics have checked out mentally and emotionally. They don’t care about anything. They’ve tried so hard for so long that it’s not worth it to keep trying and failing. The cloud of dyslexia has all but snuffed the flicker of life from their being. Their physical body still mechanically functions, but the thrill and fascination of living left them long ago.